This entry was posted on Thursday, March 8th, 2012 at 10:55 am and is filed under Uncategorized. You can follow any responses to this entry through the RSS 2.0 feed. You can leave a response, or trackback from your own site. 16 Responses to Tightest Housing Markets in the U.S. Were the price declines in the 2008 tighest markets less than the price declines in general? I’m wondering how useful the statistic is. To answer your question narrowly, for the 10 areas shown in the table, the 2008-2010 change in the median value of homes owned ranged from a 19.8% decline for Warren-Troy-Farmington Hills (from $188,600 to $151,300) to a 2.3% increase for Pittsburgh (from $119,400 to $122,200). The table also shows where a metro ranks according to each one of these measures. Our hope is that a top ten list piques interest and leads people to the full article, where they’ll be able to evaluate a metro area based on this combination of statistics. If you want to see how things have may have changed in a particular area, you can also get a similar table in the article based on 2008 data (http://www.nahb.org/generic.aspx?sectionID=734&genericContentID=138864&channelID=311). We think you’ll find this a relatively quick and easy way to get a handful of key statistics for a local housing market, compared to compiling them one-at-a-time yourself from the Census Bureau’s web site, or paying a consultant to do it. Vacancy rates and the other statistics you suggest checking are useful tools in calculating potential strength of future housing demand but one must also look at a multitude of other factors including (and perhaps more importantly) the underlying ratios of permits to population gain and permits to employment gain. Snapshot statistics are often misleading and proper analysis requires attention to longer term trends. Agreed. NAHB regularly updates the local permit and employment data available on our construction statistics web page (http://www.nahb.org/reference_list.aspx?sectionID=130). And, of course, factors like the ones you mention figure strongly into our state and metro housing forecasts. Thank you for the information you’ve share to us.. I really had a great time reading your very informative article. That must mean I live in the loosest market in the country… Walla Walla has so many houses on the market, that you feel like you can’t give them away. Half the builders in town have gone out of business in the last 2 years, and the houses that are left, that used to sell in the $400K range, are now in the mid $200’s. I still see some new housing starts, but they tend to be custom homes, over $500K. Of course, I’m assuming those are people that have stock portfolios, and are actually still making money as the market goes up. I’d like to see it tighten up here too, but it’s not going to happen until the repo market dries up. Right now it’s full of houses that people bought in 2006-2008, when the market was through the roof. A friend of mine had his $850K house repossessed by the bank, and then they turned around and sold it for $197K. Can you say OUCH? I think the only real housing market right now is in custom high end homes and in renovation in high end neighborhoods…. I am seeing several “healthy” local markets across the country for production housing and even in markets that are still facing challenges, builders who are able to create viable USPs are achieving good sales rates. 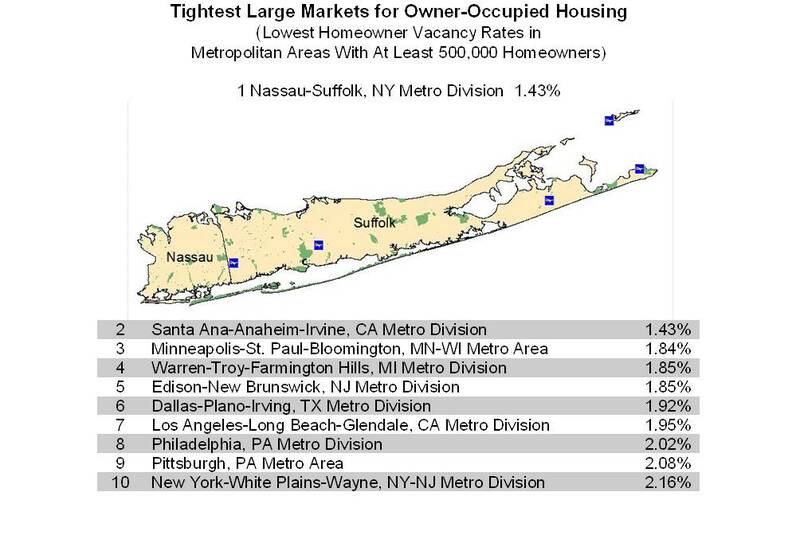 If Southern California is the second strongest market, then we are still in a weak position. The Santa Monica Property Blog notes that according to the California Association of Realtors concluded that 2011 home sales statewide increased by 1.1% to 497,860 > compared to 492,290 homes sold in 2010. The statewide median price declined by 6.3% to $285,950. • Los Angeles County: unit sales declined by 4.6% over the year to December, and the median price fell by 6.5% to $306,950. • Orange County: sales fell by 5.6%, while the median price dropped by 3.0% to $484,630. • Riverside County: sales of existing homes dropped by 4.3% and the median price dipped by 0.8% to $203,650. • San Bernardino County: sales increased by 4.0%, while the median price fell by 4.7% to $128,450. • San Diego County: unit sales increased by 5.6%, but the median price was down by 4.2% to $359,930. • Ventura County: existing home sales rose by 5.3%, while the median price plunged by 11.4% to $391,060.